Bula pontifical «Para el gobierno de la Iglesia secular». Article 1: The diocese is a religious constituency whose faithful are entrusted to a bishop, heir to the Episcopal tradition as a successor of the apostles, to be the religious guide with the assistance and co-operation of his clergy. Article 2: The diocese is composed of a number of parishes. The number of parishes per diocese varies. Article 3: The dioceses are grouped into ecclesiastical province guided by a metropolitan archbishop. Article 4: The ecclesiastical provinces within a single sovereignty, are grouped into a primacy; and placed under the authority of a primate when their number is at least two ecclesiastical provinces, and they together account for at least four dioceses. - Article 4.1: A primacy is governed by an episcopal assembly consisting of at least the metropolitan archbishops within it, and has the power to appoint and remove bishops of its territory. - Article 4.2: Each primacy has its unique statutes which have been approved by the Sacred College. - Article 4.3: The linguistic areas which do not qualify for the status of primacies, are erected as vice primacies, and attached to an existing primacy or led by a plenipotentiary prelate appointed by the Sacred College. - Article 4.4: The Curia can also attach a temporary religious province to a close primacy or provisionally join several provinces into a single religious primate. - Article 4.5: The Curia can split a primate into several vice-primates in order to facilitate the operation. The Vice-primates then operate just like primates. The term "bishop", is applied without distinctions, to any holder of Episcopal authority, whether bishop or archbishop. Article 1: In the Church, after the Supreme Pontiff and the cardinals, come the bishops. Article 2: The bishop is a member of the clergy chosen by the Pope, or by members of the Episcopate with the consent of the Pope, to lead a diocese, and can be removed from this seat through discretion by the same people. Rule 3: Only one Bishop can lead the Episcopal Office of a diocese. Article 4: There are 2 types of Bishops: bishop in office and the honorary bishop. Article 5: A bishop in Office is either metropolitan archbishop, suffragan archbishop, or suffragan bishop depending on the status of the diocese to which one is bound. These distinctions are not distinctions of nature but of honour. Article 6: The bishop governs his diocese within the limits imposed by his assembly of bishops, the Canon Law, and the doctrines and requirements laid down by the Church. - Article 6.1 : The Bishop has the right to appoint and dismiss members of his diocesan council. - Article 6.2 : The Bishop will accommodate for the vacancies of priests Res Parendo and In Gratebus, appoints and dismisses parish priests under his jurisdiction. - Article 6.3 : The bishop appoints and dismisses the chaplains of noble chapels under his jurisdiction at the request of the nobility or at his discretion. - Article 6.4 : The bishop appoints and dismisses the chaplains for lay and military organisations, except the military and religious orders recognized by Rome, registered within his diocese. - Article 6.5 : The bishop is entitled to provide notice of excommunication, of “defrocking” or cancellation of a sacrament with the validation of the Pontifical Consistory. - Article 6.6 : The bishop has the right to add rules restricting the granting of the sacraments through the acceptance of the Congregation of the Holy Office. Article 7 : The bishop emeritus are honorary bishops having assumed their office of bishop correctly and consistently over 3 months, they bear this title under the Canon Law for 2 months. The Episcopal Assembly may regulate their rights in their assemblies. They no longer have authority within their diocese. Article 8 : The bishop in patribus are appointed by the Sacred College on behalf of the Sovereign Pontiff on any proposal by an Episcopal assembly. They are part of the Episcopal assembly of the Primacy of their residence. Article 9 : The Episcopal dignity is granted to certain clerics of high status, such as rectors of religious order, the grand masters of military-religious orders, abbots of In Gratebus monasteries, and the prefects of congregations. The efficient cause = he is elected by the Episcopal assembly for which the diocese is in question. The formal cause = he is enthroned by two of his colleagues with the agreement of the Pope. The final cause = he is a member of the Episcopal assembly and has a parish under his jurisdiction. He runs an ecclesiastical province and generally a diocese. The material cause = he must be ordained and theologian of the Church. The efficient cause = he is elected by the Episcopal assembly for which the diocese in question. The formal cause = he is inducted by two of his colleagues with the agreement of the Pope. The final cause = he is a member of the Episcopal assembly and has a parish under his jurisdiction, unless the internal statutes of the assembly restrict access to metropolitans only. He heads a diocese. The material cause = he must have been a good bishop in accord and consistent with the Canon Law and in office for over 3 months. The efficient cause = he is designated by the assembly according to the rules they have established. The formal cause = he is désignated by the Camerlengo or the Archdeacon of Rome. The final cause = Bishop Primate, in the name of his assembly, is the hierarchical superior of all the bishops under his primacy. - Article 3.1: Assuming that the primate makes decisions unilaterally, the Episcopal assembly has the authority to reverse such decisions, and replace the primacy according to the rules established by the assembly on request of one member of the assembly. 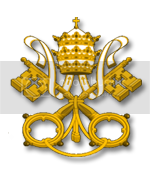 - Article 3.2: The primate keeps his responsibilities on the level of his province or diocese. The material cause = He must be bishop at the time of his nomination. The efficient cause = He is designated by the Bishop Primate according to the rules established by the assembly. The formal cause = He is designated by the primate. The final cause = He assists the Primate . - Section 4.1: Vice-primate Bishop in the absence or disability of the Primate, has all juridical and representative powers until the Primate returns to his seat. - Section 4.2: Vice-primate keeps his responsibilities in his province or diocese. The material cause = He must be have been Bishop (other other than Emeritus) in a correct manner and consistently over 3 months. The efficient cause = It is automatically for a period of 2 months. The formal cause = It is confirmed by the Episcopal Assembly he belongs to. The final cause = He has the right to be a member of the Episcopal assembly of his principal residence. - Article 5.1: The title of emeritus is an honorary and transitory title; it is intended to enable the transition during a transfer or a move. The material cause = He must be a meritorious and exemplary priest, and have participated in building of the Church. The efficient cause = He is appointed by the Curia or the Pope, but he can be proposed by an Episcopal assembly. The formal cause = He is désignated by the Camerlengo, the Archdeacon of Rome, or the Primate of the Episcopal assembly on which he depends. The final cause = He can be a full member of the Episcopal meeting where he has his principal residence subject to acceptance of the primate and the bishops of the Episcopal assembly concerned. - Article 6.1: The bishop in partibus loses the title if he takes the leadership of a diocese or archdiocese in which his Episcopal authority is effective. Outside the automatic loss of the title, only death or the Curia may withdraw or change the title of in partibus. The material cause = He must be a priest. If there is a lack of a First Archdeacon there can be one Vicar General per Ecclesiastical province. The efficient cause = He is appointed by the Metropolitan Archbishop. The formal cause = He was inducted by his Metropolitan Archbishop. The final cause = He is responsible to assist and supplement his Archbishop in the management of the province. - Article 7.1: The Aristotelian medallion is gold and green. - The material cause = He must be a faithful of the Church. In the absence of a Vicar General, there can be a First Archdeacon per Ecclesiastical province. - The efficient cause= He is appointed by his Metropolitan Archbishop. - The formal cause = He is inducted by his Metropolitan Archbishop. - The final cause = He is responsible to assist and supplement his Archbishop in the management of the province. - Article 8.1: The Aristotelian medallion is silver and green. The material cause = He must be a priest. If there is a lack of an Archdeacon there can be one Diocesan Vicar per Ecclesiastical diocese or archdiocese. The efficient cause = He is appointed by his bishop. The formal cause = He is inducted by the Bishop who appointed him. The final cause = He is responsible to assist and supplement its bishop in the management of the diocese. - Article 9.1: The Aristotelian medallion is gold and green. The material cause = He must be a faithful of the Church. In the absence of a Vicar diocesan there can be an Archdeacon per diocese or archdiocese. The final cause = He is responsible to assist and supplement his bishop in the management of the diocese. - Article 10.1: The Aristotelian medallion is silver and green. The material cause = He must be a faithful of the Church. The efficient cause = He is appointed by the bishop of his diocese or province. The formal cause = He is inducted by the Bishop of his diocese or province. The final cause = He is responsible to assist his bishop in a given mission by the latter. - Article 11.1: The number of Chapitrain per diocese is at the discretion of the bishop to a reasonable amount. - Article 11.2: The Chapitrain enjoys the same Res parendo privileges as the Canon. The material cause = He must be a faithful and theologian of the Roman and Aristotelian Church (Level 3 Church way). The efficient cause = He is appointed by the bishop of his diocese. The formal cause = He is installed by the Bishop of his diocese. The final cause = He has the burden of helping his bishop In Gratebus in the management of the diocese or province. - Article 12.1: The number of Canon is limited to 6 for the Metropolitan Archdiocese, 5 for archdioceses and 4 for suffragan dioceses. - Article 12.1: Functions of Canons are determined by this law: consultant in religion - only at the metropolitan level, Responsible for the Diocese - at the level of in metropolitan and Archdiocese, Responsible for the treasury, Responsible for the doctrine, Responsible for relations with the priests, Short-haired dachshund - at all levels. Canonical text on the Secular Clergy, Given and approved in Rome by the Sacred College during the pontificate of the Holy Father Eugene V, on the Feast of Saint Marie-Madeleine, the twenty-second day of the month of July, in the year of grace MCDLVII. First published by the late His Eminence Jeandalf on the Feast of St. Helena the Apostle , the eighteenth day of August, the year of grace MCDLV; reviewed and published by His Eminence Aaron de Nagan, Cardinal Camerlengo, on the Feast of Saint Benedict, on the eleventh day of July, in the year of grace MCDLVI; reviewed, amended and published by His Eminence Aaron de Nagan, Cardinal Camerlengo, on twenty-fourth day of the month of July, in the year of grace MCDLVII. Given the numerous territorial differences governing the Italian peninsula and the lands of Ireland in the Kingdom of England, We, Cardinals, reunited in Sacred College, have ruled and have ordered, and by our present, perpetual and definitive edict, rule and order the enactment of exceptions relative to the Book 2 of the Canon Law of the Holy Roman and Aristotelician Church bearing the title of Regimini Secularis Ecclesiae, defined and cited hereafter. The articles, modified, amended or added take precedence over those issued from the Universal Canon Law who doesn't apply, in these articles, in the territorial zones defined by the present edict. The essential part of these modifications lies on the transmission of power to the superior echelon, passing from the bishopric to the metropolitan archbishopric. The major changes, of terminological order, are the replacement of the general term of "Bishop" by the more precise term of "Metropolitan Archbishop". Article 4.1 : A primacy is governed by an Episcopal assembly consisting of at leat, the metropolitan archbishops under it, and has the power to appoint and remove the metropolitan archbishops of its territory. Article 2 : The Metropolitan Archbishop is a member of the clergy chosen by the Pope, or by the member of the Episcopate with the consent of the Pope, to lead a metropolitan archbishopric, and can be removed from his seat at the discretion of the same people. Article 6.3 : The metropolitan archbishop nominates and dismisses the chaplains of the noble chapels under his jurisdiction, at the demand of the nobility or at his own discretion. Article 6.4 : The metropolitan archbishop nominates and dismisses the chaplains for lay and military organisations, exception made of the military and religious orders recognized by Rome, registered under his diocese. Article 6.5 : The metropolitan archbishop is entitled to provide notice of excommunication, defrockation or cancellation of a sacrament with the competent Pontifical Consistory. Article 6.6 : The metropolitan archbishop is entitled to add restrictive rules to the granting of sacraments under acceptance from the Congregation for the Causes of Saints. Article 6.2 bis : The metropolitan archbishop purveys to the vacancy of Res parendo and In Gratebus apostolic seats, appoints and dismisses the bishops of the dioceses under the jurisdiction of his ecclesiastical province. The final cause = He is full member of the Episcopal assemblies under which falls one of the parishes under his jurisdiction He leads an ecclesiastical province and generally a diocese. He nominates and dismisses the bishops from the dioceses under his ecclesiastical province. The efficient cause = He is nominated by the metropolitan archbishop under which the diocese lies.